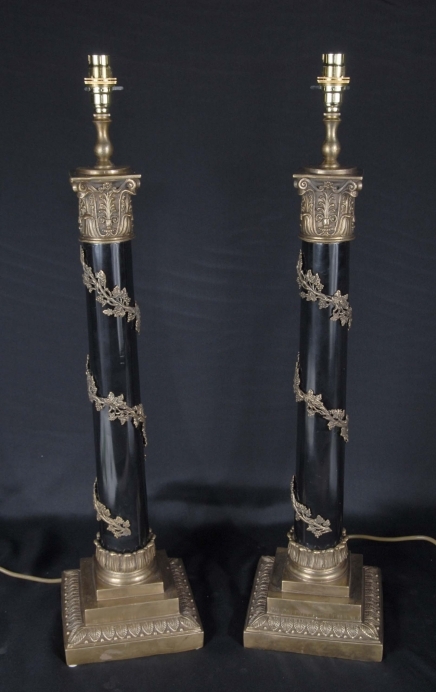 You are viewing a gorgeous pair of French black porcelain lamp bases with ormolu fittings. 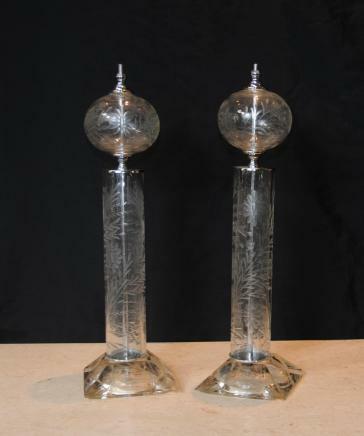 The lamps are in the shape of a pair of classical Greek doric columns and these would be a sumptous, enriching addition to any interiors scheme. The bases come prewired so these would be easy to hook up – all you would need is a bulb and a matching lamp shade. Currently they are configured for the UK market, although it would be easy to adapt using a simple adaptor available from any hardware store. To the top the lamps have the ormolu column pinnacle and these sit on the classical squared bases with intricate designs on each of the four walls. Around the main columns there is a draped ormolu leaf design, as though this has creeped up. 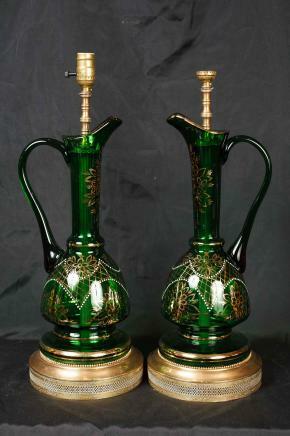 I only hope the photos go some way in illustrating the beauty of this pair and do the craftmanship some justice. They are both offered in perfect condition ready for home use right away and we are expecting a lot of interest so get your bids in early. These really are an interior designers dream.